We've all known someone who for whatever reason could never remember our name or say our name correctly. 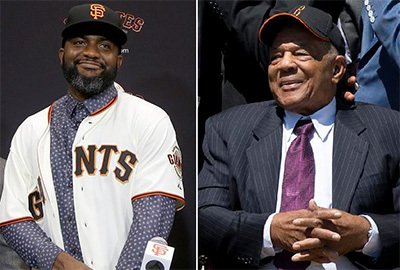 For new San Francisco Giants outfielder Denard Span, that person happens to be an icon and arguably baseball's greatest living player, Hall of Famer Willie Mays. According to esteemed baseball writer Andrew Baggarly, Span and Mays have been interacting frequently during the early days of Giants' camp in Arizona, and throughout it all Mays has been referring to Denard as "Bernard."